Whether we like to admit it or not, any purchase in technology is going to cost you money. Despite the financial burden technology puts on us, we have to have it, almost like a drug, food, or water. Technology is our lifeblood. Technology saves us time, makes it easier to do simple tasks, and dazzles our senses. But the one downside of nearly every bit of technology is that it costs us our precious money. Some technologies lose us a little money, and others a whole heap of it. Take the iPhone for instance. You buy it new for $600 one year, and the next year when the iPhone 5 comes out, your iPhone 4 is not even worth half that. But that doesn’t stop the 10’s of millions from buying it (myself included), because it does so much more than become a phone. For me it’s a personal reference guide for questions about life on the fly, a datebook, a camera, but I digress. This article is not about the iPhone. The case in point is LED Technology. I am happy to say that LED Technology is finally where a point where it can make you money. Not only that, but LED’s far surpassed other lighting technologies because of the early adopters’ passion for it. Giving you magnificent colors or customized to your personal mood, today’s LED Lights are exactly what you have been waiting for. Let’s take a typical 60W incandescent light bulb that costs $2.00. It’s expected lifespan is about 1-2,000 hours. 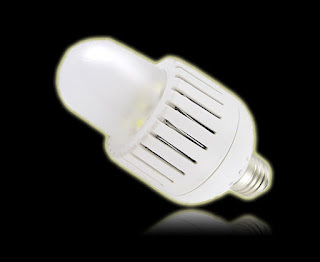 An equivalent LED Bulb in today’s market (Feb, 2012) is approximately $30 and will last 50,000 hours. Putting this into terms of cost per hours, it would cost an incandescent bulb $1 per 1,000 hours of use. However this same LED alternative will cost $1 per 1,667 hours per use. And we haven’t even scratched the surface of the electrical savings. Energy costs money too. For the sake of example, a 60W bulb running for one hour will consume 0.06KWH (kilowatt hours) of power. Depending on where you are across the country, the price of power can fluctuate. Again for example sake, an average cost per KWH is about $0.06. The cost to run that bulb for an hour is about $0.0036 ($0.06 x $0.06). If that 60W bulb lasted you 2,000 hours, it cost approximately $7.20. Changing gears to LED’s; our LED equivalent which consumes about 8W of energy, costs approximately $0.00048 ($0.008 x $0.06) per hour of use. Running our LED for 2,000 hours would cost approximately $0.96. That may not seem like much, but let’s think a little larger scale. If a typical home has 20 light bulbs running for 6 hours per day, for one full year (43,800 hours), the cost to run each would be: $157.68 for a standard 60W Bulb, or $21.02 for its LED alternatives, saving the average consumer about $136 on electricity costs. So now that you can see how the electrical costs, as well as the costs savings per bulb, is there any other reason to make the switch? Well, let me give one more. Typical CFL or incandescent lights are made with nasty elements like lead or mercury which are not only harmful for our landfills, but also on the eco-system as well. LED Lights are made from recyclable materials so they don’t end up in landfills like their counterparts. Now go out there and save some money!